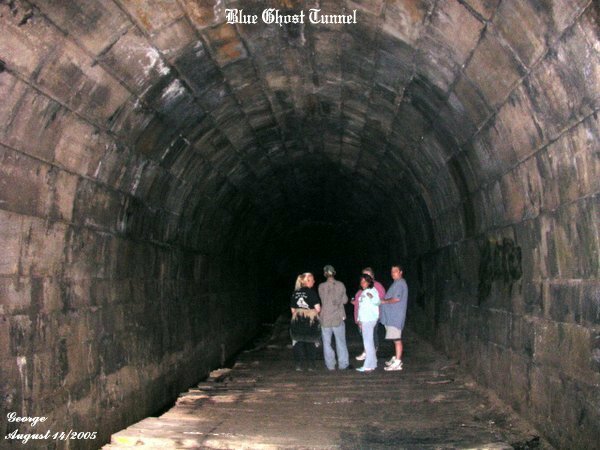 On August 14th, 2005 we headed out for the Blue Ghost Tunnel for the first time this year to conduct another investigation. Lana had emailed us asking if we could take her family out to the tunnel, so we made arrangements to meet up in Hamilton. She was surprised that we do not charge anything for taking folks out to the tunnel. Upon our arrival at the tunnel Kevin and Dave from Niagara Amateur Ghost Seekers group based in Niagara were there conducting their own investigation at the tunnel. It was a pleasure to have met another group with similar interests as our own. Kevin and Dave were very nice folks to meet and talk to.While we were there other groups of folks arrived at the tunnel and when we asked how they found out about the tunnel they said through our website. We were pleased to hear that many folks we have never met before came across our site and ventured out on their own to conduct their own investigation at the tunnel. 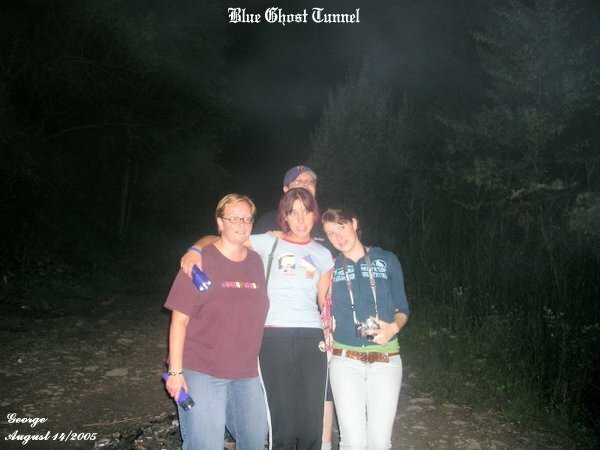 In the above photo there is nothing of a paranormal nature, except for maybe Kevin sneaking in the back of the three young ladies that ventured to the tunnel to conduct their own investigation. Move over Girlie Ghost Busters, there is a new breed of ladies that are now conducting investigations into the paranormal. The young ladies were kind enough for their photo to be taken and they all work at a Tim Hortons and decided to come to the tunnel to check it out. We have also met up with Al from Ottawa ghost seekers and he had managed to capture an EVP recording of a cat that made its presence known within the tunnel. In this photo you can see Cathy and Matt talking to Lana, her husband Jason and their daughter Rebecca. They seemed a bit nervous being in the tunnel. I did not have much of a chance to take many pictures this night, for most of my time was spent talking with the many folks that showed up at the tunnel. 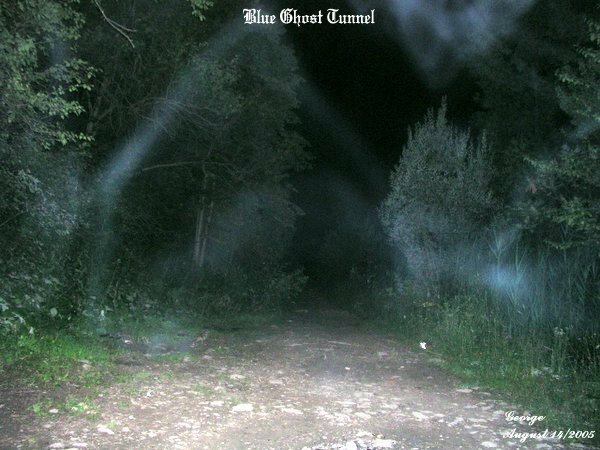 I did get this one photo as seen above, showing some ecto plasm strings of energy that appeared on the trail that leads to the tunnel. 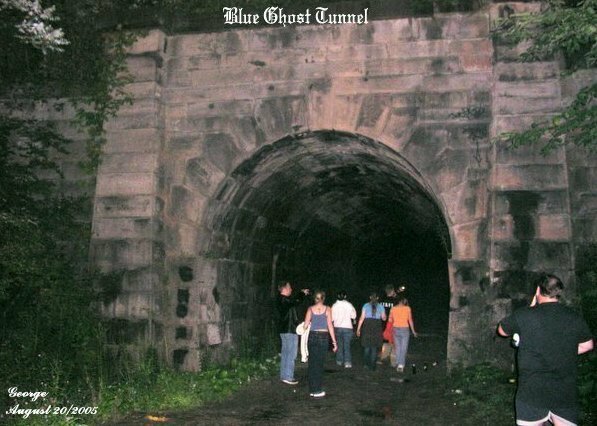 On August 20th, 2005 we headed out to do another investigation at the Blue Ghost Tunnel. Upon our arrival we bumped into the group known as Super Natural Voices conducting their own investigation .It was a pleasure to have met Mark and Penny and talk about the tunnel and what they had captured on camera. Again while we were there a lot more people showed up at the tunnel and it was a pleasure to have met these folks too. The tunnel itself still holds a forbidding feeling to the place. As seen in the above photo many folks ventured into the tunnel this night and many of them had an experience they could not explain. 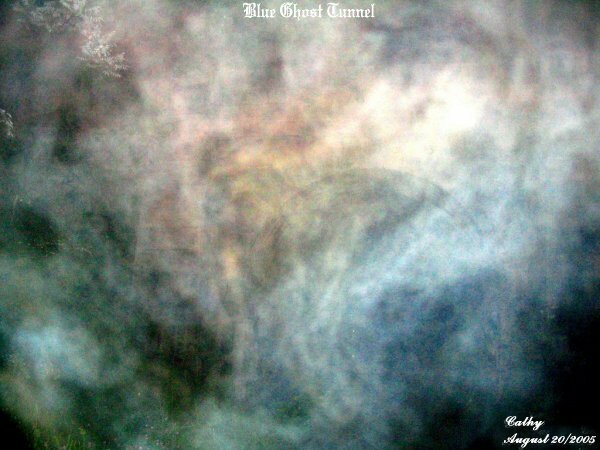 In this photo it almost appears as a giant spider of ecto mist strands that formed on the right hand side of the tunnel. This picture was viewed by Mark and Penny while the picture was still on the camera. 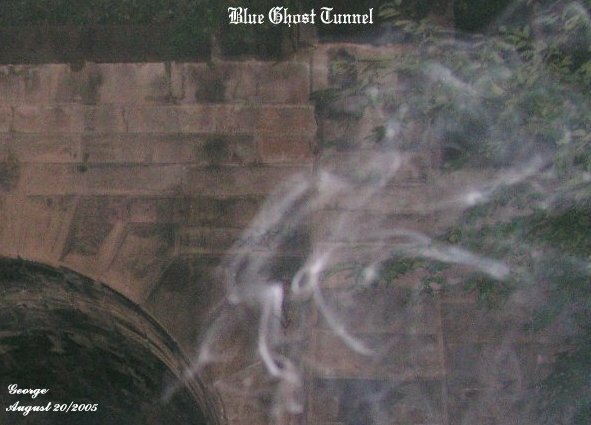 The tunnel holds many different spirits that show in odd forms of energy. 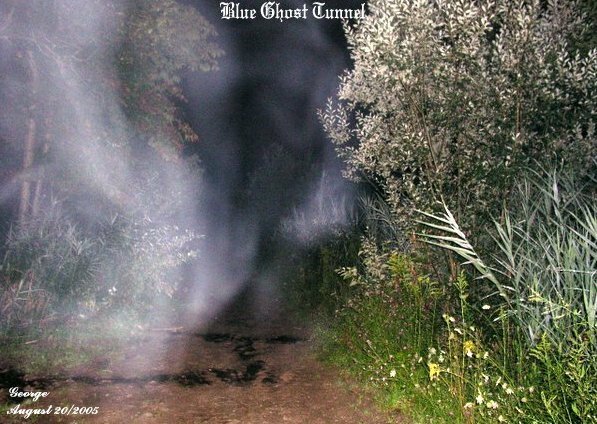 This photo proved interesting, showing two ecto forms forming on the trail that leads to the tunnel. Both forms had a tint of blue ecto plasm . At the time I took this photo there was a heavy feeling to my chest as though I had run a long distance. The form you see is that of negative energy that appeared to be heading into the tunnel. Whenever one encounters this type of energy form near them, one can get the heavy feeling to the chest area or feeling sick to their stomach, or getting a severe headache. The spirit energy that is red in color is that of a spirit that wants one to leave or that of a spirit that is angry about something .Whenever one comes across this type of energy form it is best to move away from the area and you will notice that you will feel better. Just to the right of the picture you see above is a giant orb. I had done the negative test on this photo and it shows as a defined orb of energy.You will notice how big the orb is. This would indicate that whatever this spirit is, it has been in the area for a long time. This is a photo that Cathy managed to capture at the tunnel. A lot of different colors of energy show in this photo. 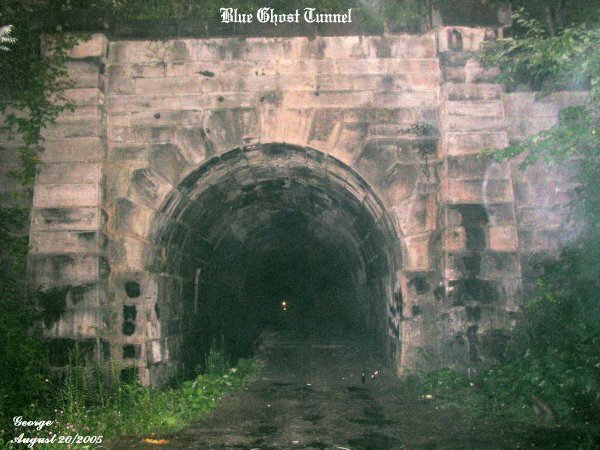 Just to the center of the photo there is a giant dog that shows in a brownish form of energy, complete with head, ears, and one leg, running down the tunnel entrance to the left. Also there is a shape of a person that is kneeling down with arms out reached, just to the right of the dog. We do believe that the tunnel is host to four dogs, as well as two cats. It was ironic this night for Al had managed to capture a cat meow in the tunnel. It was a very eerie meow. Almost like the cat was in pain. Yet there was no cat within the tunnel to be found. The pictures caught on camera were viewed by those in attendance. Some other folks had caught strange forms on their own cameras this night. 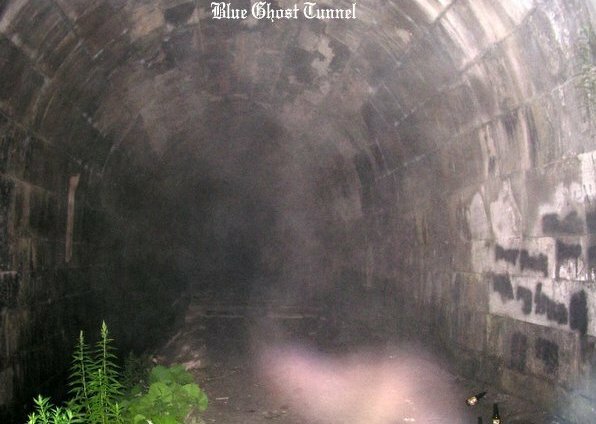 The tunnel was very active as far as the paranormal is concerned, but it also had a lot of strange sounds within the tunnel that could not be explained.